wants to kick-start their retirement savings. I love helping people out when it comes to making money. But I hate to hear their stories as to how they lost it. A few weeks ago, at the MoneyShow conference in Las Vegas, investors crowded around me after I gave a seminar. Like always, they wanted to ask their own questions. Too many still haven’t recovered from the crash of 2008 and the recession that followed… even though that’s a long time ago. More still wonder aloud if they’d ever stop working. Even younger investors approach me, worrying how they’ll ever keep up with the cost of living when interest rates rise once again. They’re afraid they’ll never retire. Because then, I’d also be able to help them create all the income they need – whether they’re retired, close, or years from it. It’s possible through an income strategy I call a “Personal Pension.” And I’m going to give that strategy to you today. It’s a way for you to add as much as 36% – 60% in additional income to your portfolio each year – and doing so without taking on a ton of risk. The simple trade at the heart of my Pension Plan is so easy, a 9 year old can pull it off, and it’s so safe – winning at a 90% clip – that the IRS allows investors to use it in IRAs, 401(k)s, and the like. In fact, as I’ll soon explain, I’ve never lost money using it. Using this system, investors have been able to replace what they lost in the crash (and subsequent recession)… super-charge their monthly investment income stream… and accelerate their retirement savings. All to the tune of 36% – 60% gains annually, on average. As you can imagine, that’s a HUGE comfort to investors looking to pad their income, retirement or otherwise. And it’s why I welcome everyone to ask questions – no matter how dire their story is. Believe me, as you’re about to see, my “Personal Pension” plan is THE solution to creating more income each and every month… While also piling on more gains. Almost weekly, I get letters from readers thanking me for helping them get back the money they lost, and making up for the time they lost as well! “Bryan, thanks for your service. I have followed your guidance over the years. Even though the stock market over the last four years has been like a trampoline… I have been living quite well on the dividend income from my investments.” – S.L. “Your insight has been very profitable for me as I am about to retire — counting on your proven track record is not a risk in my mind… you are the Rosetta Stone. Thanks Bryan!” – M.J.
“I would like to take this opportunity to thank you for your diligence, knowledge and insight, which makes your service such a pleasure to work with.” – J.G. Without trying to be boastful, I get a lot of these letters praising my strategy, because it works. These people are happy to be making up to 60% more in cash from trading each year. And I’d like you to join them. Not in a month, not in a year, not way down the road… in say, 5, 10 or 20 years. And put hundreds, even thousands more, in cash, in your pocket each month. My “Personal Pension” offers you salvation. So, listen closely, as I’m going to give you everything you need to start using it today. Hi, my name is Bryan Perry. Over the past 10+ years, I’ve helped individual investors like you by publishing my income investing advice. During that time, I’ve also helped educate Main Street investors by co-hosting a weekly financial news show on the Bloomberg radio network. 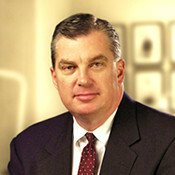 In addition, I’m often quoted in Forbes, Business Week, and Market Watch as an income expert. You can bet I got an education in making money then, especially during my time with Paine Webber, Bear Stearns, and Lehman Brothers. Unfortunately, their goal was never to make money for people like you or me. To helping investors like you. Comes from using out-of-the-money options on a select few market-leading stocks. To the uninformed, they are. But I’ll show you that using options my way is easy, fast, and profitable. In fact, your risk is reduced when this is done right. You see, most of the risk in options comes when you buy them. But I don’t buy them. I sell them for income. That’s the whole secret to flipping the script on options – making the risk work for you. It’s true. Not a penny. Not in over three years that I’ve been using this strategy. Over that time, we’ve made money selling covered calls 79 out of 80 times. That’s a 98.75% win-rate. In each case, we were paid a premium for our options, which was automatically, almost immediately, deposited into our accounts. And the one time we didn’t profit, we didn’t lose a thing. You see, you can’t lose money selling options. That’s because, if you don’t get a buyer for your options by the day’s end, the options expire, and you have the same amount of money you had before. But, you can come back the next day and try to sell call options again. That’s what I mean when I say I’ve never lost a penny using this strategy. Now, here’s a real-life example of how this strategy works. 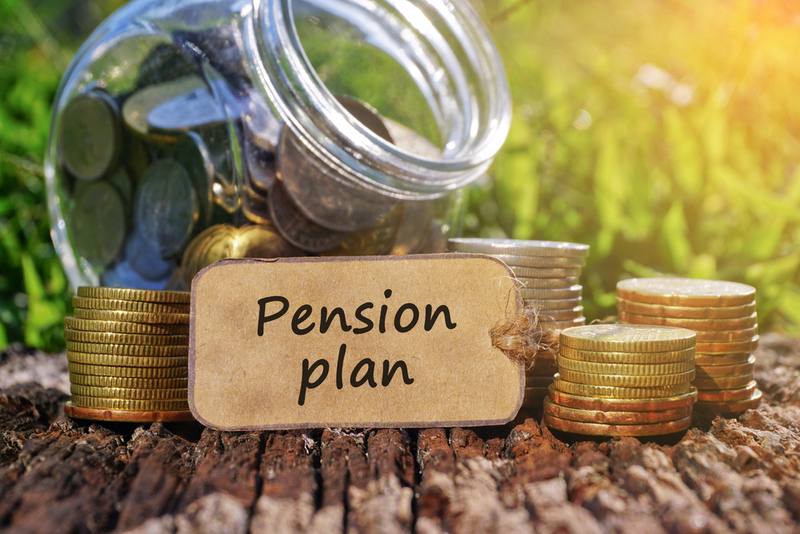 Last summer, I recommended the following trade to the exclusive group of investors I told you about – the ones using this “Pension Plan” strategy. I recommended buying shares of Starbucks at $57.29 each and then selling call options against them. Remember, when you buy or sell options, you have to do so in groups of 100 shares, called “options contracts.” You could sell 1 options contract if you held 100 shares… You could sell 2 options contracts if you held 200 shares, and so on. I recommended selling the $57.50 August call options. These options give another investor the right, but not the obligation, to buy my underlying Starbucks shares if they hit the $57.50 target price (strike price) by a specific date in the future. That date is known as the expiration date. If Starbucks shares hadn’t reached the strike price by that date, the options would have expired worthless, and we’d keep our shares. Then, we’d be all set to sell another round of call options against our Starbucks shares. However, our options were purchased. And the actual CASH collected for selling 1 options contract (representing 100 shares of Starbucks) was $190. For 5 contracts (500 shares) we made $950 in instant cash income. That’s money in the bank – well, in your account. Premium payments for options like this are deposited automatically into your trading account. So, you just keep the $950 option income and that’s it. And get this: that is what usually happens – 90% of the time, in fact – with options contracts. They expire worthless. Second, what could have happened, instead, was that Starbucks HIT the strike price before the options expired. Here, the shares represented by your options contract would have been automatically sold from your portfolio at the strike price, and the profits from that sale automatically deposited back into your account. AND collecting the profits made when you sold your Starbucks shares. But this isn’t the only way we make money selling options. A year ago, I introduced a brand new strategy to my traders: selling put options. A “Personal Pension” fund that can average between 36% – 60% in additional income each year, and give you the chance at fast-paced gains. Here’s something else about using my “Personal Pension” plan. It only takes about 2-3 minutes to execute the trades I recommend. That’s 15-20 minutes a month to create all the money you’ll ever need in retirement. Retired already or not, everyone should have that small bit of time to add significant income each month. So, if you need to grow your nest egg, you can relax a bit. I’ve got you covered. With all my years watching the market, and a focused eye on 7-8 smart, relevant, repeat-profit stocks, this is it. This strategy works regardless of the market’s – or the President’s – ups and downs. 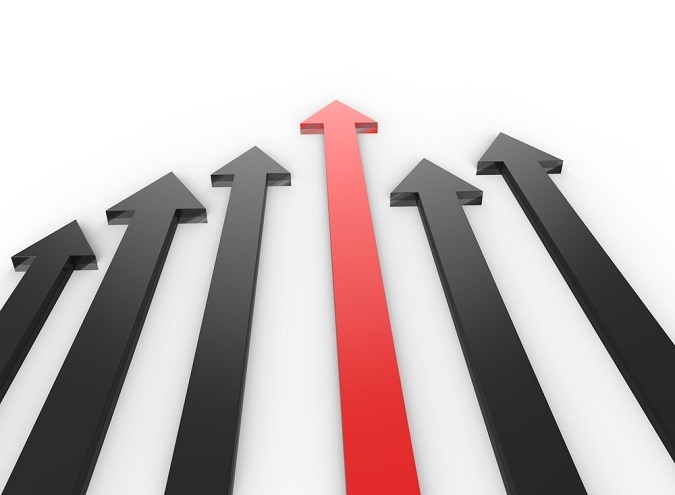 We only play the best of the best companies when it comes to using this strategy. We’ve made income-generating and retirement-rescuing gains from some of the market’s most high-profile names… Companies you’d recognize like Smith and Wesson, Salesforce.com, T-Mobile, Twitter, Paycom Software, Virgin America, J.C. Penney, JetBlue, Starbucks and Microsoft… to name a few. More recently, I’ve been looking more specifically into today’s red-hot sectors, eclectic tech and ecommerce, artificial intelligence, robotic machinery, biotech, gaming, and more. Then I look for leading names in these sectors. That’s led me – and my readers – to a number of wins with companies that might be less familiar to you, like: Cyberark Software… Cheniere Energy… Barracuda and Yandex. But don’t think our winners are sector bound… we also go where the action’s hot. China’s 6.9% annual growth has been great for us. Specifically, in Chinese internet companies like Momo and Trivago, which we’ve recently won with as well. We only focus on powerful stocks like these – growing companies – with solid business models. And we never overcrowd our portfolio with too many picks to manage: 7-10 usually. The opposite is true in my one-year-old puts-selling portfolio. Here, we focus on 7-10 flagging companies and sell puts against their shares. When the market or stock is going down, and I’m convinced there’s more loss on the way, we sell put options to investors who also think shares will continue to plummet. We collect a premium on the options sale – from $300 all the way up to $5,100 per sold contract. And then we make money on the options themselves. Here’s what I mean. If shares continue to fall, the price of the options will as well. When the time is right, we buy back those put options and take the profit. If the shares don’t hit their target price, those options expire worthless. We start the whole thing over again and sell more puts. Plus 23 more double- and triple-digit winners. Do the math and that’s an annualized gain of 568.14% in this strategy’s first year of service! I don’t know of another service that’s ever done this well right out of the box, do you? If so, I hope you’re using it, along with my put strategy. I recommended Paycom, an employee management company a couple of months back. With a $5,000 portfolio, you could have bought 100 shares, turned around and sold 1 call option (worth those 100 shares). As soon as your option was bought, you would have received an automatic payment of $525 in your retirement account. If you had $10,000… you could have sold 2 call options and deposited an instant $1,050. $50,000 would have let you sell 10 call options, and put $5,775 into your account once your calls sold. Not bad. And we’ve done this with Proshares, Momo, Smith & Wesson, and others as well. The best thing about selling call options is that, whenever the options we sell expire worthless, we can keep going back to these stocks and sell options again and again, until they finally hit a strike price. The same is true for our Put Options plays. Here’s a recent example: On August 3, 2017, I recommended buying PayPal Inc. (PYPL) shares, under $59. I told traders to sell the September $62.50 put options at $4.00 per contract. For every put contract sold, traders got $400 deposited directly into their accounts. Remember, each options contract represents 100 shares of stock. That $400 also represents an immediate 6.7% profit – income going straight into your account. Then, 43 days later, on September 15, I told my traders to buy back the PYPL Sep. 15 $62.50 Puts at $0.70 per contract. This generated a 82.5% profit and, remember, that was on top of the quick 6.7% cash gain. That’s how we’ve made money on 36 of 44 trades this year. That’s how we’ve seen a 568.14% annualized gain in our first year. That’s how we’ve averaged 40.26% on closed trades (winners and losers). As great as these returns have been over the first year, please don’t forget that this strategy’s #1 focus is creating additional income for you. This is far from aggressive trading or day trading. But it is still high-octane fuel for your retirement account! You get the chance to earn 3% – 6% a month in extra income. And when you pile appreciation on top of that, you lock in 36% – 60% average annual gains. 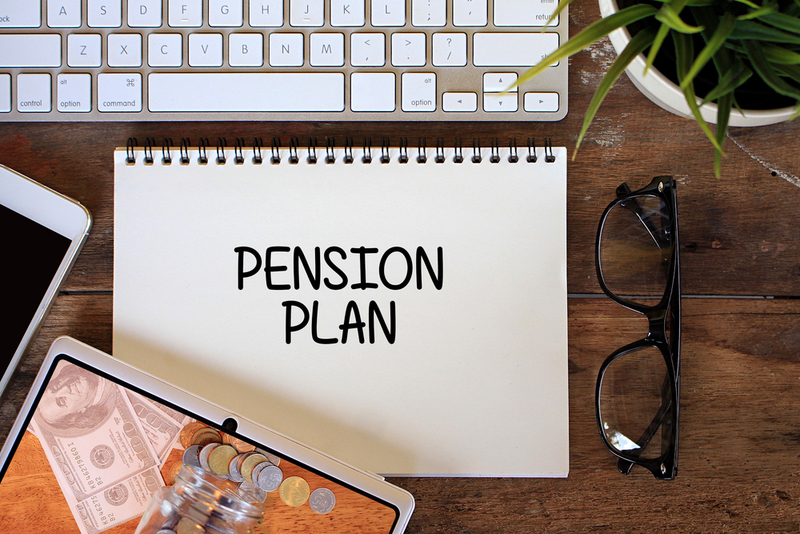 My “Personal Pension” plan offers perfect balance of risk and reward – why else would the IRS approve it in retirement accounts? You’ll never have to watch the market like a hawk ever again as trades take 2-3 minutes only. Buy the good, solid stocks I’ll recommend for you. Sell your options when I say, with two or three clicks of your mouse (nothing tricky) and collect your premium. At expiration, make more money if shares are called away, or sell put options again. Selling options like this is one of the best kept secrets of the world’s greatest investors when it comes to banking consistent, rapid-paced gains. They use it to generate billions a year. And now you have the opportunity to do the same with your own “Personal Pension” plan. You never retire, working into your 80s or longer to pay your bills. You retire, but on a shoestring budget, living out the rest of your life on meager income. You retire and enjoy the rest of your life on your terms, with plenty of cash in the bank. I created my “Personal Pension” strategy to help as many investors as possible be in that third group. And I created a trading service to deliver it to them as easily as possible. It’s called Quick Income Trader. This climate seems tailor-made for Quick Income Trader’s ability to make money. NOW is the perfect time for you. Even though you now know most of the important facts of my Quick Income Trader service, I have more to tell you about how you can maximize your investment dollars. I love options. My subscribers have collectively made a small fortune with them. But I think they are often misunderstood and misrepresented. Too many investors avoid options, period… And that’s just plain dumb. So I put everything you need to know about options and selling calls into a comprehensive, special report. 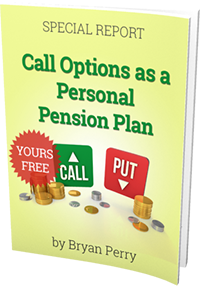 It’s called: Call Options as a Personal Pension Plan: How to Make Up to 60% More Retirement Income. Regularly, I would sell it for $79. But, I’m going to give it to you for FREE. How I pick the stocks on which to sell options. You’ll see how I look for my carefully-chosen, “sweet spot” portfolios: One group of 7-10 stocks that we sell calls on, and one group of 7-10 stocks we sell puts on. This lets us maneuver quickly in any market condition. A 6-part video series that walks you through the selling of call options step-by-step, quickly and effortlessly. These 3-5 minute videos detail how you make quick, automatic, consistent income selling calls. How to set up a simplified portfolio that optimizes your chance at more income, and additional gains from appreciation. With Call Options as a Personal Pension Plan: How to Make Up to 60% More Retirement Income, you’ll quickly be on your way to a healthy retirement bank account, and a comfortable worry-free retirement that you may not have thought possible… until now. It’s all inside this A-to-Z report I want you to have for FREE. But I understand that it takes a lot of trust to allow me to help you grow your retirement account. That’s why I want to offer you a 30-day test-drive of my Quick Income Trader service… and rush you my special report. Your risk in doing this is ZERO. 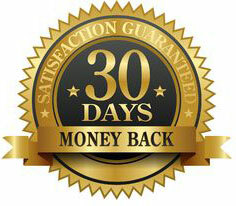 You’ll have a full 30 days to see the cash roll in for only a few minutes of work each month. It’s like extra retirement money-on-demand. Every week, via email, you get exact money-making recommendations showing you what to buy… when to buy… and when to sell. No guesswork involved on your part! To make sure you never miss an urgent buy/sell recommendation or update to your portfolio, I will send you a text message so you can take action immediately. If you really want to get into the nuts and bolts of my system, there are countless resources in my library to walk you through it, including short video training pieces, deep-dive looks into special or unique investments, and even common-sense, evergreen money-making strategies available to all. You get V.I.P. access to my latest research, recommendations, weekly issues, hotlines, special reports, and your training library. Anything you can dream of to help you make money with call options is here. Not surprisingly, most people see this equation as a no brainer to solve. What’s your next best plan for pulling in retirement account profits of up to 60% per year for doing almost nothing? Or, even if you decide to enlist some help, say with a financial advisor or retirement planner, I guarantee they will not do what I am doing behind-the-scenes to set you up for this kind of return. Sure, you could learn to do this on your own… But it will likely take you a couple of years to get up to speed, and up to 10 more years to be very good at it. But be prepared to pay at least $5,000 a year… or even twice as much. Even at that price, there’s no guarantee you’ll see up to $60,000 a year in cash income. That’s why I think you’ll be happy to hear that Quick Income Trader isn’t even half as expensive as other trading services. A 1-year membership is usually $1,995. But the last thing I want to do is bring you to this point and have you walk away over price. It’s too important, and I understand that you are looking to improve your retirement situation. That’s serious business. I don’t want price to be what stands between you and that needed income. So, for the next 48 hours, I’m guaranteeing you a spot in Quick Income Trader at $1,000 off. Which means you only pay $995. You could make that back in just days on a few option sales. During your 30-day test-drive, you should have made your $995 back many times over if you simply follow my lead. I urge you to start your test-drive now. You could literally make your money back, and more, in just days. All you have to do is click the button below to join Quick Income Trader. Within moments after you join, you’ll get everything you need to make hundreds — maybe thousands — of dollars selling your first options. I hope I’ve made this very easy for you. I’ve laid out exactly how you can add 3% – 6% a month in extra income to your account – that’s 36% – 60% over a whole year. I’ve shown you how reliable the strategy is. For 3+ years, we have created consistent profits. I see no reason why it would stop anytime soon. I’ve demonstrated how my new puts portfolio – and its 568.14% annualize return – can make up for lost time, building wealth faster than you can imagine. I’ve shown how I’ve never lost a penny selling covered calls to other investors. I’ve offered you a FREE report to get you up to speed on options. And I’ve offered you a 30-day test-drive. Those are a lot of good reasons to see if Quick Income Trader can become your “Personal Pension” plan today. My Rock-Solid 100% Money-Back Guarantee! With my 100% money-back guarantee, there’s simply no way to go wrong. Let me show you how you are protected. You MUST be 100% thrilled with the service, your earnings and your new income during the first 30 days with Quick Income Trader or I will INSIST on rushing you a complete, 100% refund of every dime you paid. No worries… and no questions asked. Go ahead and get started now. Click the button below. Remember, it’s only a risk-free test-drive. Yes, this is a big decision, but putting it off won’t help you grow your savings. Act right now, unless you’re 100% sure you’ve got more than enough income today to last through your entire retirement. A way to create a “Personal Pension” and get your savings, your life and your retirement back on track. Even after 20+ years on Wall Street, I honestly don’t know of a better retirement savings accelerator than this. P.S. 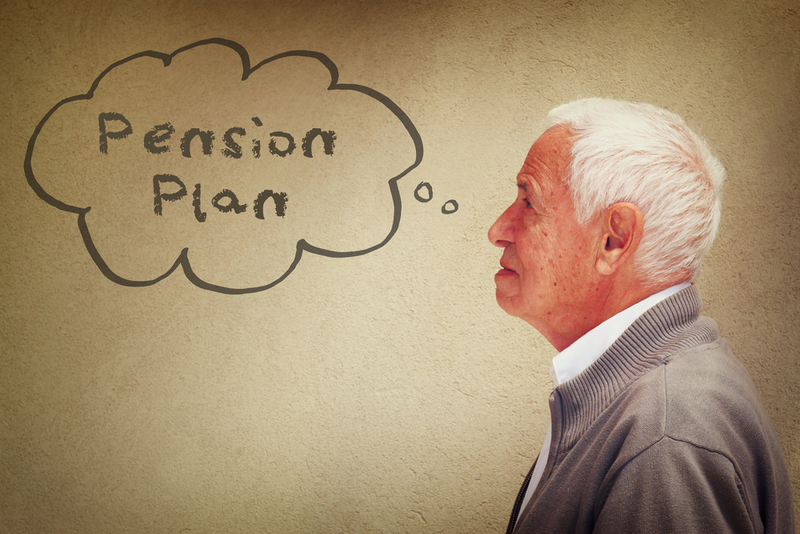 If you need to make up for lost time and money, my “Personal Pension” plan is the perfect solution. Click the button below now to get started.